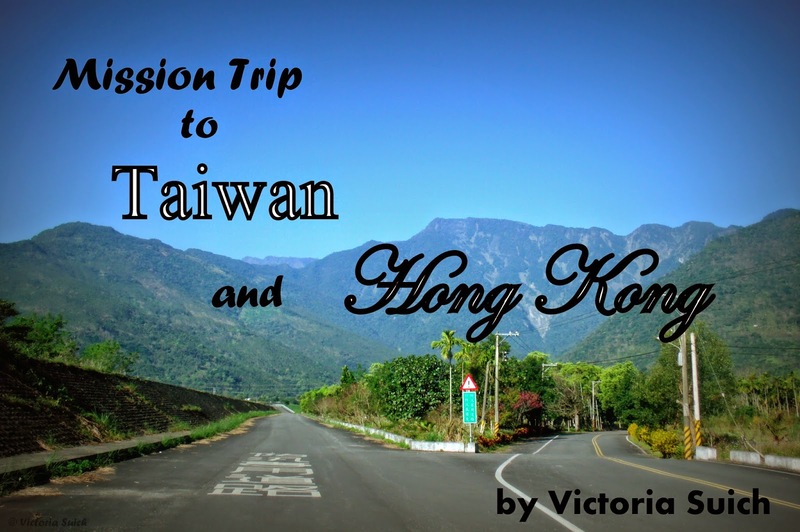 I was so excited last summer when I found out about a mission trip opportunity to Taiwan. I’d never been out of the country, and all the way on the other side of the globe is certainly out of the country! Also, if I went, I could visit my sister, Joanna. I was super excited, but the journey to Taiwan was a long way off - not till January. As it so happened, I didn’t find out for sure if I was going until a month before we were set to leave. When I did find out, I was happy and excited, but a bit scared too - I needed to raise $2,500 in a short period of time. It was a journey of faith for me and my family. At times I felt for sure God would supply the money, other times I wasn’t so sure - what if it wasn’t His will for me to go? I realized, though, that it wasn’t my job to raise the money, it was God’s job. I just needed to do all I could and let Him do the raising. The financial situation ended up working out amazingly! I even was given extra money! After the mission trip I had the blessing of giving the leftover money away to be used for God’s work in Taiwan and Hong Kong. The ministry I worked with is called Children's Institute, which offers children a VBS-like setting while their parents attend Christian seminars. Each small group of kids had at least one American and one translator. Biblical character qualities were taught, games were played, and crafts were made. During large group time, when everyone came together, we learned songs (in Chinese, of course!) and motions. Also, this was the time when inspired skits were performed with great zeal, impromptu, and hilarity. Ever heard the story of Daniel and his three friends who offered the king a test to see which was better - eating the king’s choice foods or vegetables? Well, in our version Daniel and his friends could not eat the king’s favorite food - Oreos! We showed how we should honor our authorities, and if we have an idea we should present it respectfully. The kids loved the skits and stories and so did I! We worked in four different locations over a month’s time - three cities in Taiwan and Hong Kong. My favorite was our last week - in Hong Kong. My group leader and our translator and I worked really well together and we had twelve precious children aged six to twelve. Mind you, we had some kids that stirred up trouble, but overall our group was awesome! Two nights in Hong Kong we got to have worship time with the kids. Those two nights were some of the most amazing experiences of the trip! Even though I couldn’t understand most of what we sang, I felt God’s presence there. It was amazing and I realized that worshiping God is something that transcends languages and is a language in and of itself! Also, in Hong Kong I got to play soccer with a lot of boys one day. I was the only American and the only girl playing, and I’d never played a game of soccer before! It was great fun running around after the ball and occasionally yelling “Jiao!” (it means "go on" or "fight on"). I even scored the first goal! It felt good to give my teammates high fives. After the trip I got to spend a week with my sister Joanna! It was neat to see the school where she works and meet her co-teachers. When Joanna first went to Taiwan I never thought I would get to go visit her, but God certainly has ways of working things out! 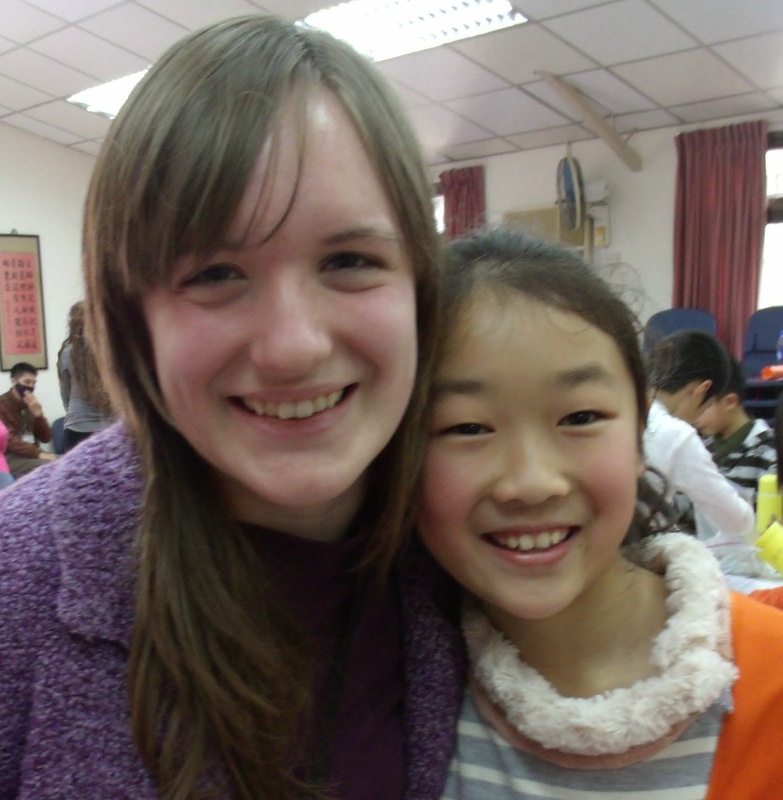 I'm so glad God gave me the opportunity to not only visit her, but to join in His work in Taiwan and Hong Kong. I look forward to sharing more with you in future posts!